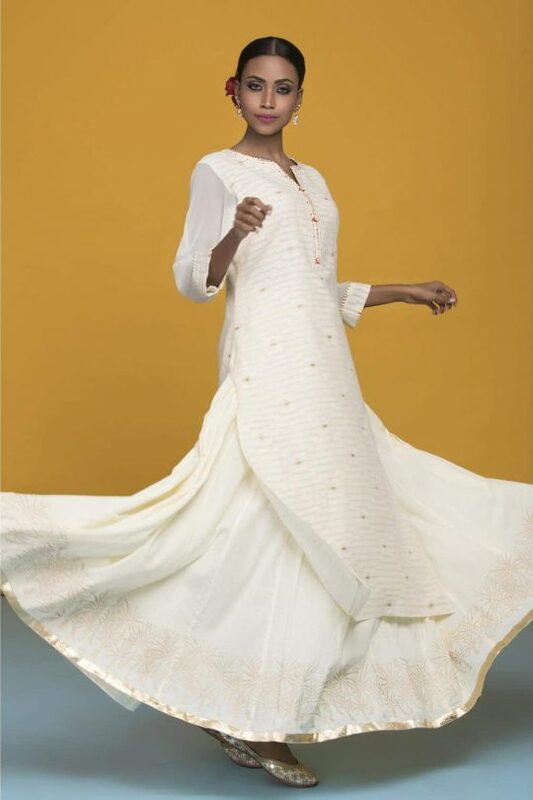 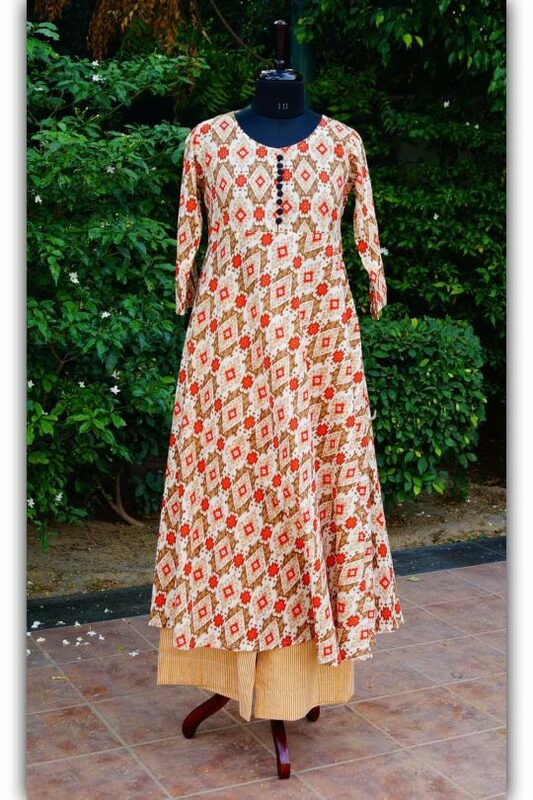 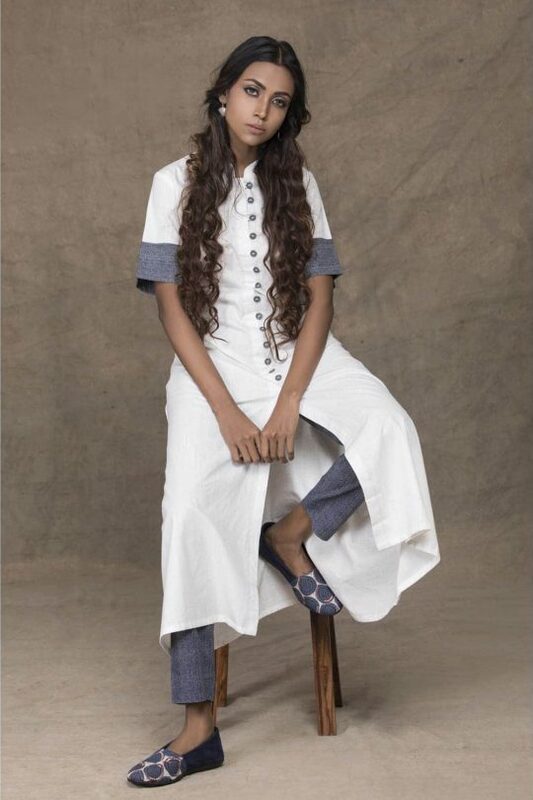 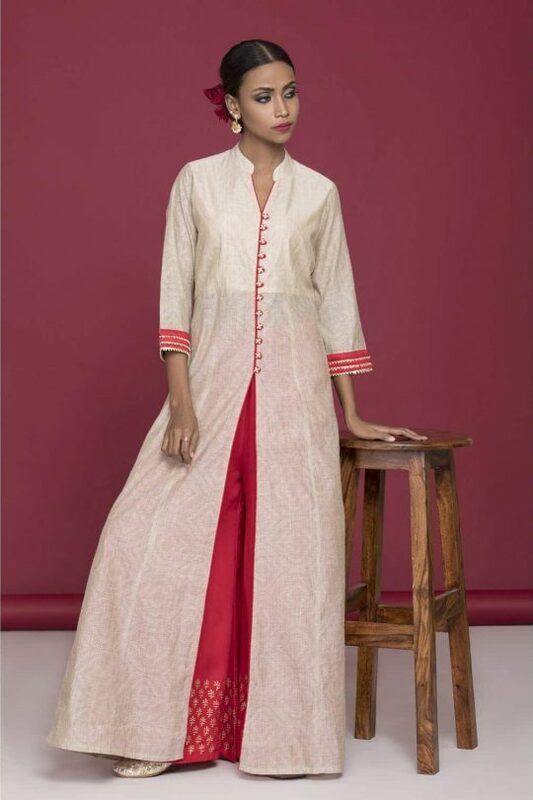 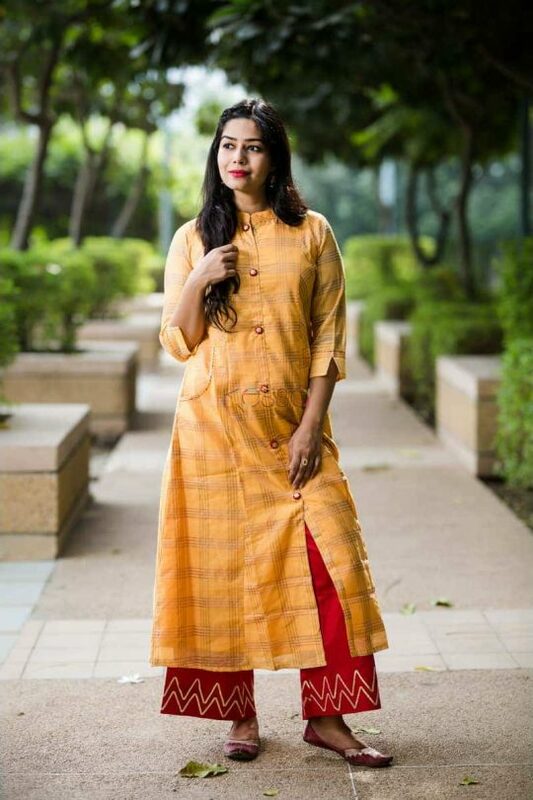 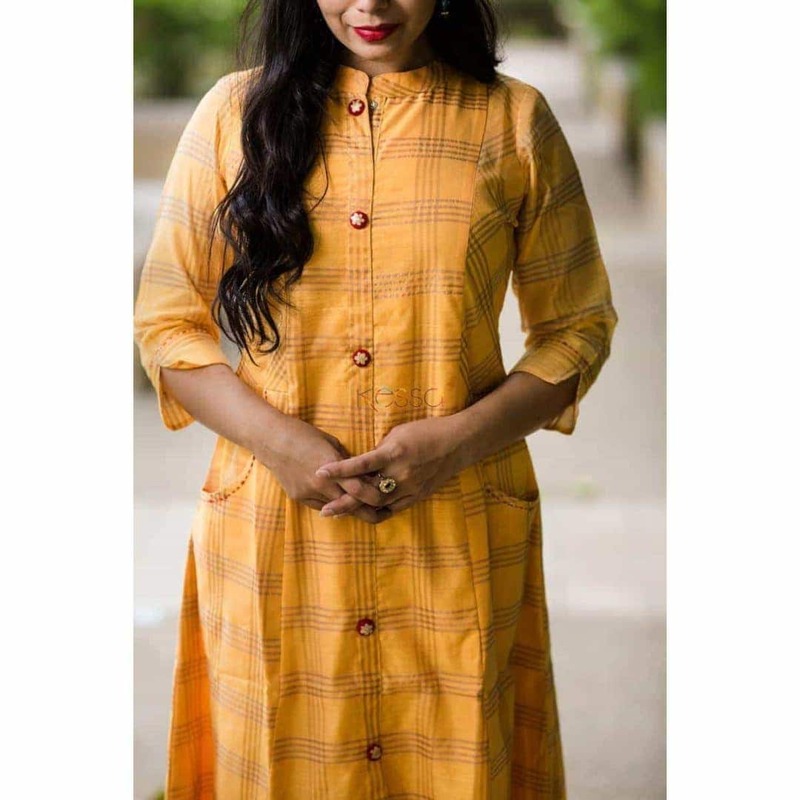 This A-line kurta is based on chanderi fabric and it is matched with cotton satin palazzo. 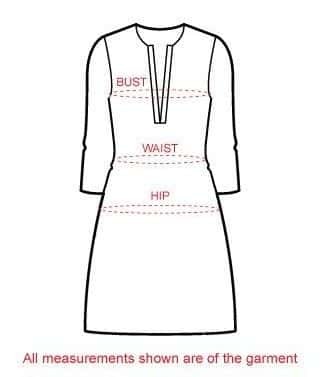 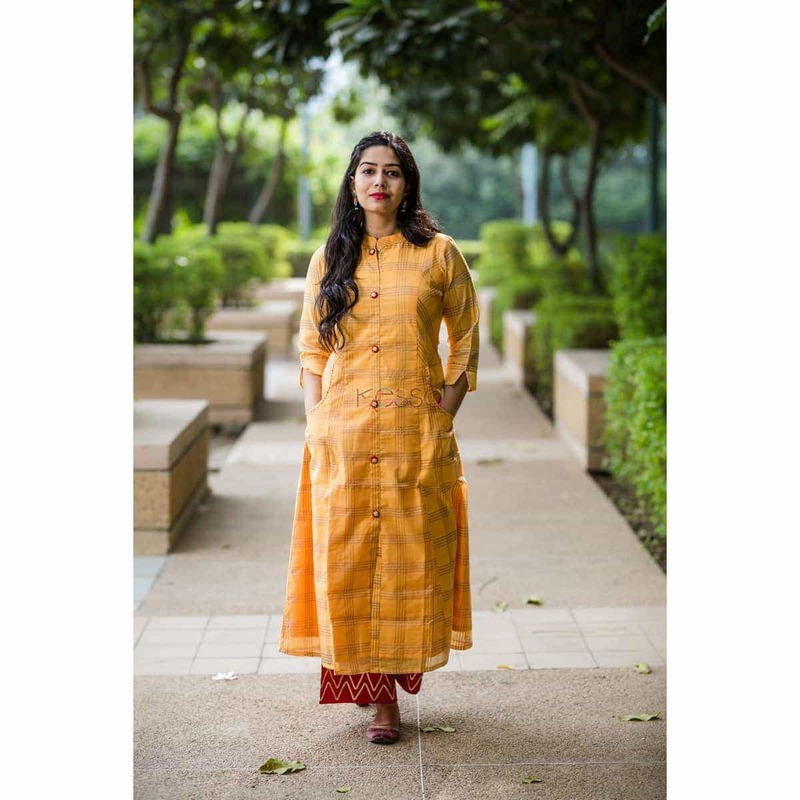 Kurta has two front pockets and has attached inner lining. 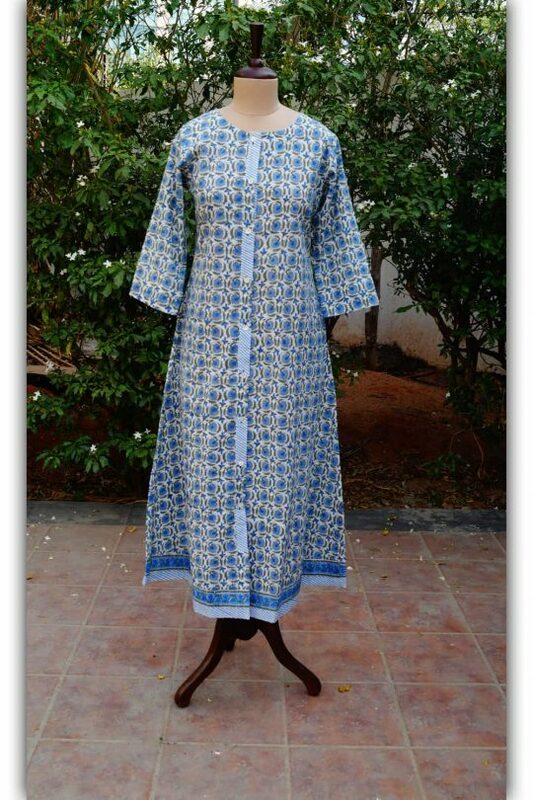 Palazzo is highlighted with gota work on the bottom. 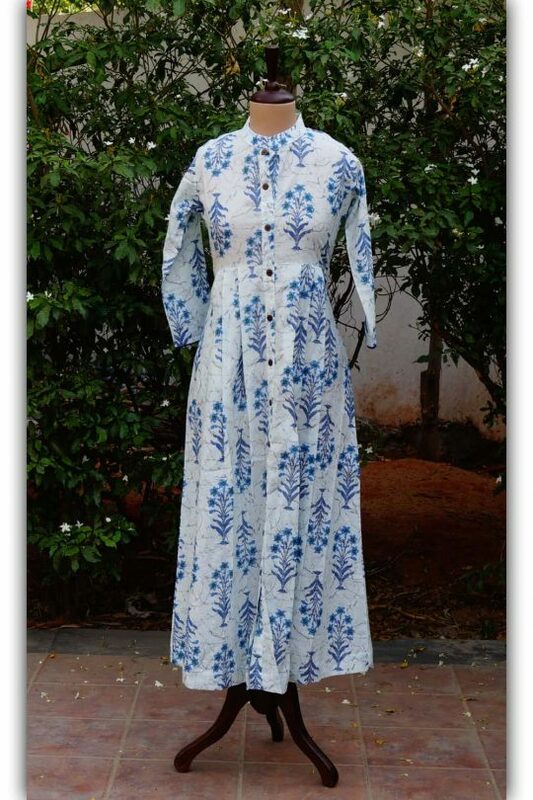 Palazzo’s length is 38 inches.